Wow! 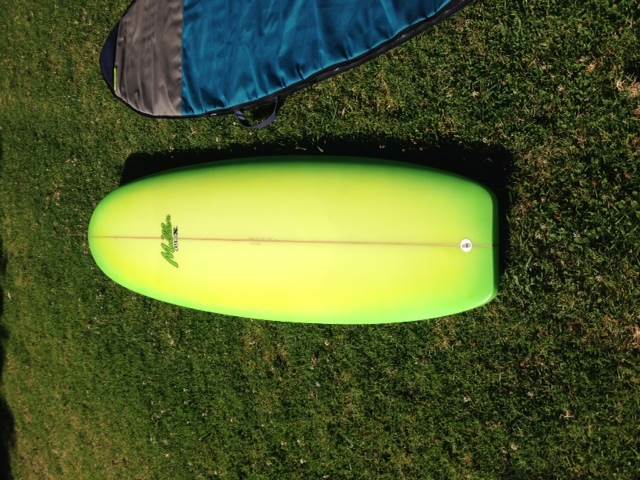 I have just been talking to JB about these boards & the Burton Fat Bullet. I'm kin of interested given I meet the criteria of maturing heavier surfer. Any idea of the volume please?? GPA, nah no idea of volume, sorry. Feels nice n thick under the arm but light, so It'll be good. Can't wait to get it wet. I love this board - Ill throw some pics of mine in for good measure. I have a similar size (7'0" X 23" X 3 1/4"). I think that sort of board might do the trick for you Vanders. Grant does make a nice board. As Asea n Tux have said I would prefer something with a bit more shape myself. But I think this board suits its purpose well. Will be interested to get some ride feedback from Mollydog and Unclethirsty. Ted - I love the board, however it took me a little while to get used to riding a single. They are very different from what I usually ride (Thruster, Quad etc). 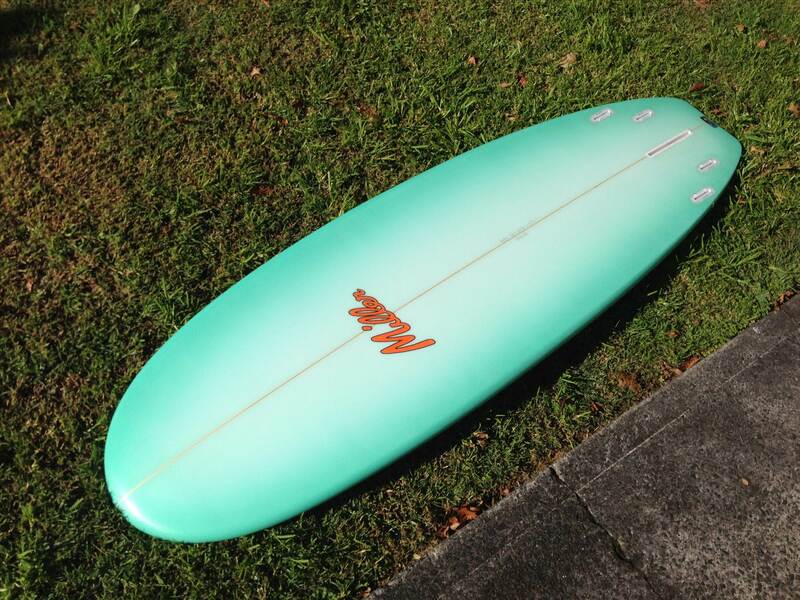 I think of my surfing when on this board as a cruisey relaxed style. Not trying to smash the wave, more trying to relax and mellow around in the water. It is ALOT of fun though and I have found it surprisingly holds up very well in larger (overhead) days. 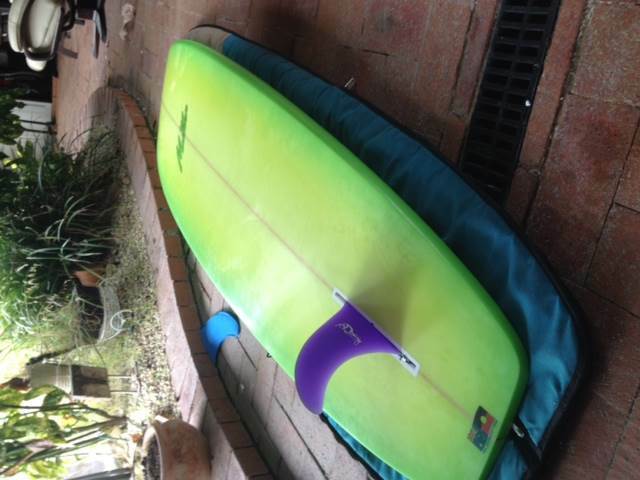 Again though - my level of surfing doesnt allow me to smash the wave around like Mick Fanning on a MOTE board (Simon Jones makes some unreal singles) but I prefer this board over every other board I have and use it the most. Tux I'm sure Grant could factor in what ever you want. This one has plenty of float for me i'm nearly 62yo & 100kg. It'll go "as advertised' all of Grants boards do. 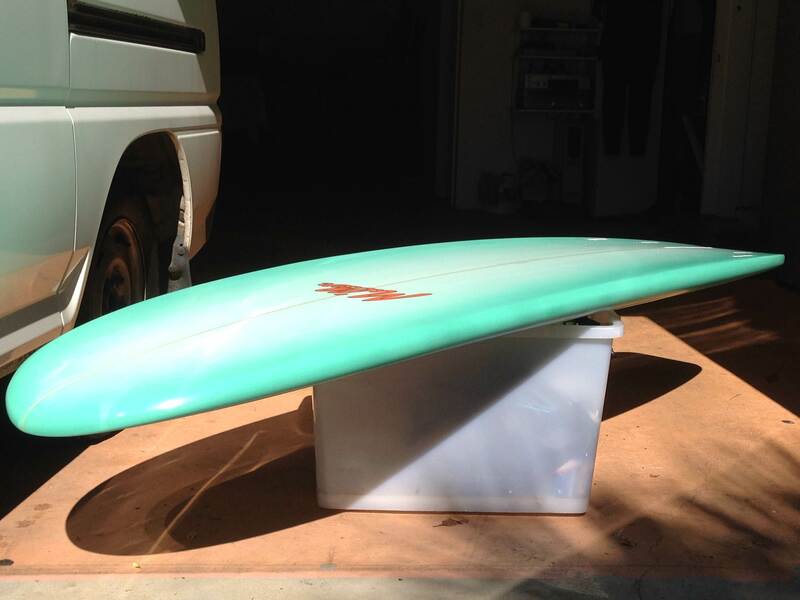 Love to get this on a long point break somewhere & see what it can do. Looking foreward to the reoprt on it...tail is a bit like a squared off (McCoy) Nugget..which I like riding. 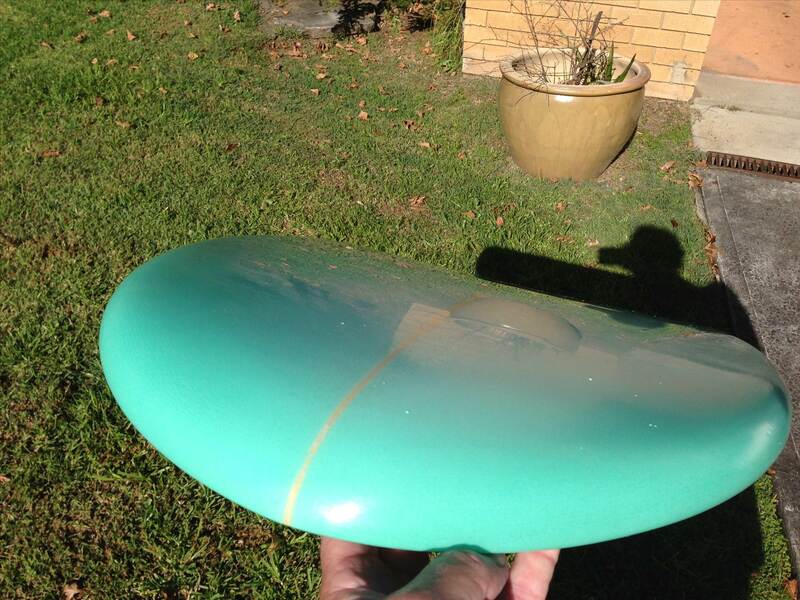 That greenough fin will be a ripper..maybe better a 12"..I have 12" on a Tolly single and it was a loose board alright. Off topic a little but here is a Quick pet peeve/annoyance of mine about fins - all this effort is put into them design wise only to then chuck a chunky screw at the base and interrupt the flow. Surely a smaller screw that is counter sunk below the fin box level is not difficult to do and will enhance the performance. My 2 cents on that. I agree with unclethirsty - Grant will be able to alter the board to suit the individual very easily. Prob his specialty above other shapers. With that increased nose rocker they look like they'd push a bit of water when paddling, is this the case? Dunno Vanders havn't had mine in the water yet, still curing. Molly U got anything. I would think that given the overall volume it (i) will sit higher in the water which should allow for relatively easier paddling for a 7' board. 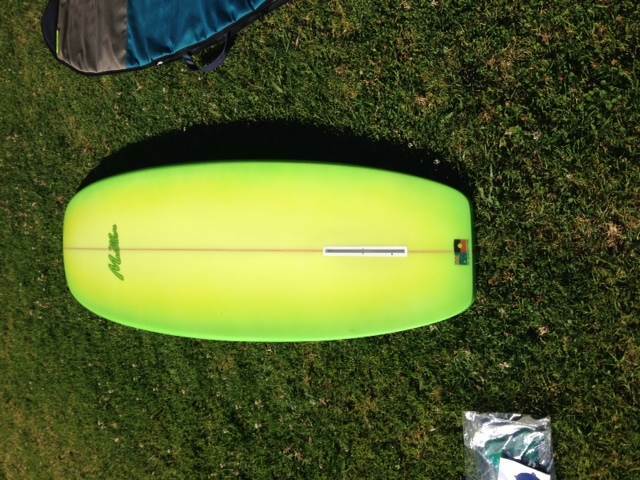 I am definitely not a shaper so I'm prob wrong but after I get it in the water I'll let you know. 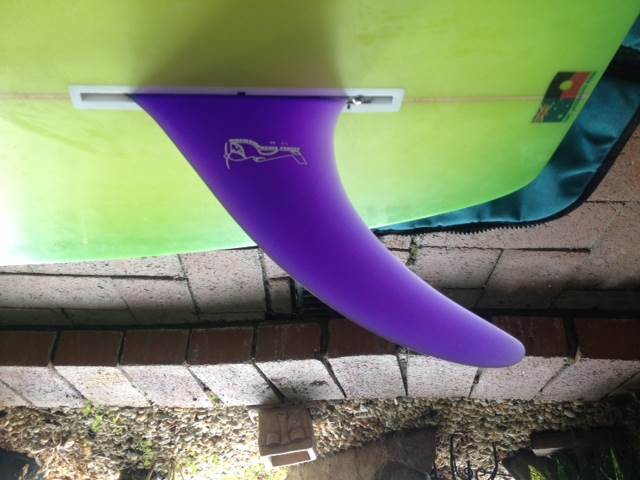 Vanders - from my uneducated opinion I think as the overall board retains volume especially in the tail this allows you to paddle flatter than if you would with a foiled out board/tail. Basically the tail stays somewhat on top of the water more than a "normal" foiled out shape. This incorporated with a decent tail lift translates into a flatter paddle position on the water. This results in a better paddling experience. 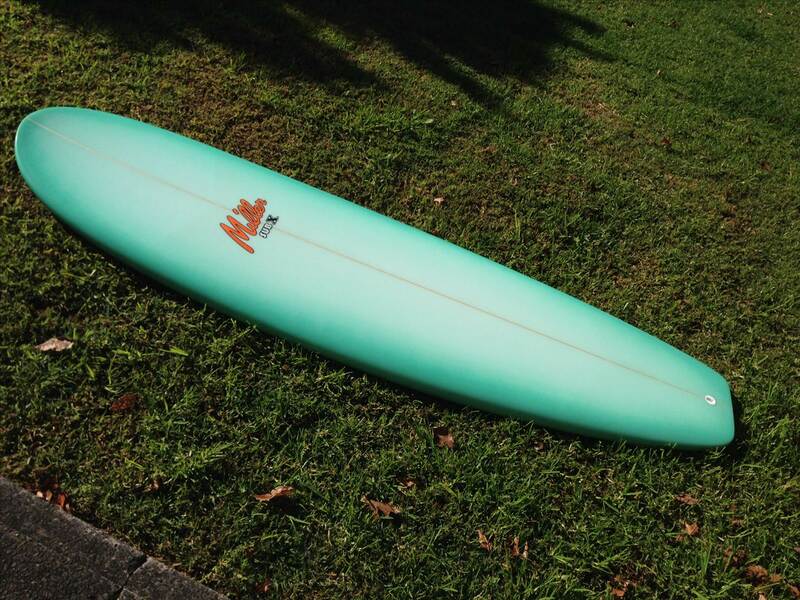 I have found this to paddle as good as my old 9 foot performance mal. Not as good as my old school 906 log though - but still unbelievably well. Thanks for the feedback Molly, it's great you're loving the board, certainly food for thought. 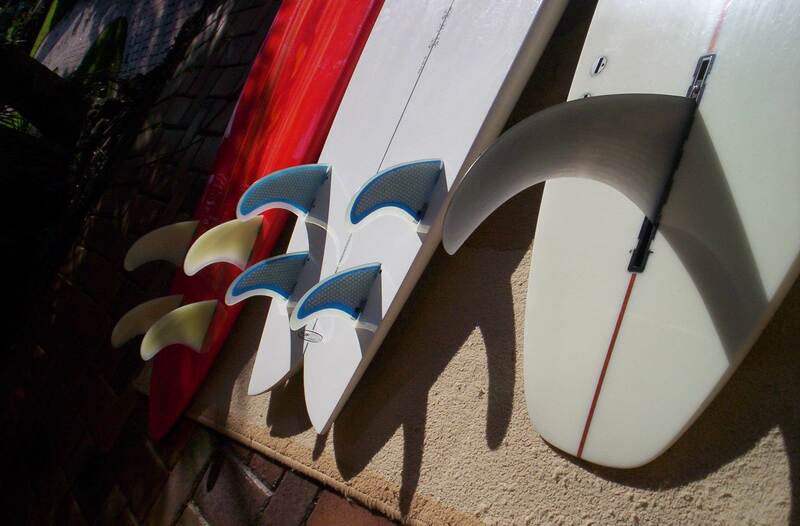 This boards looks the busiess, love the shape and its style. Like Vanders said, food for thought. 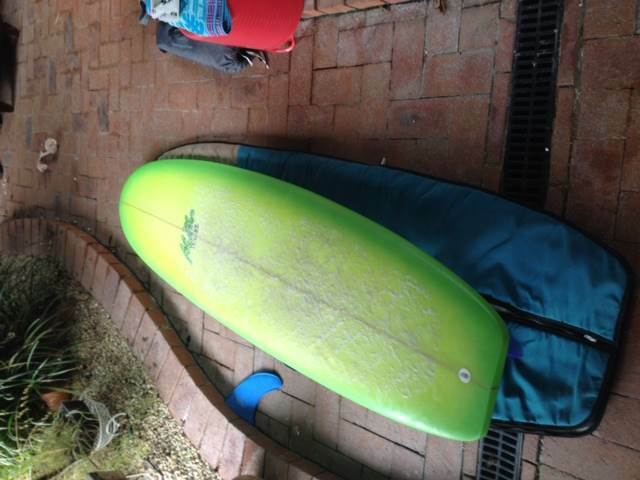 Right.. finally got the Subx out today (been flat as in Sydney since I picked it up) in 2-3ft straight hander closeouts, I really gotta get out of Sydney, anywho. The board I usually ride is a 7'5" x 23x3" powerglide of Grants & the Subx is 7'x231/8"x31/8" but the way Grant has shaped this & distributed the foam means that the Subx floats me (100kg) better. I sit in the water on the Powerglide just around my belly button, on the Subx its lower down around my hips. The paddle is amasing just seems to float over the water picks up waves really really well & takeoff is very stable. Turns very easily, I really can't comment here too much as it was first session & the waves were shutting down pretty quick but the "feel" is there, like you just know when you finally get a decent wave it'll do what you want. As Mollydog said is does feel different but at the same time comfortable/cruisy. Hopefully there'll be some better waves tomoz so I get some turns in. Verdict...wanna good paddler get one of these. ^^^ Glad you got her wet mate, shame about the conditions. Really looking forward to hearing how it goes in better waves, sounds like you're on a winner though. 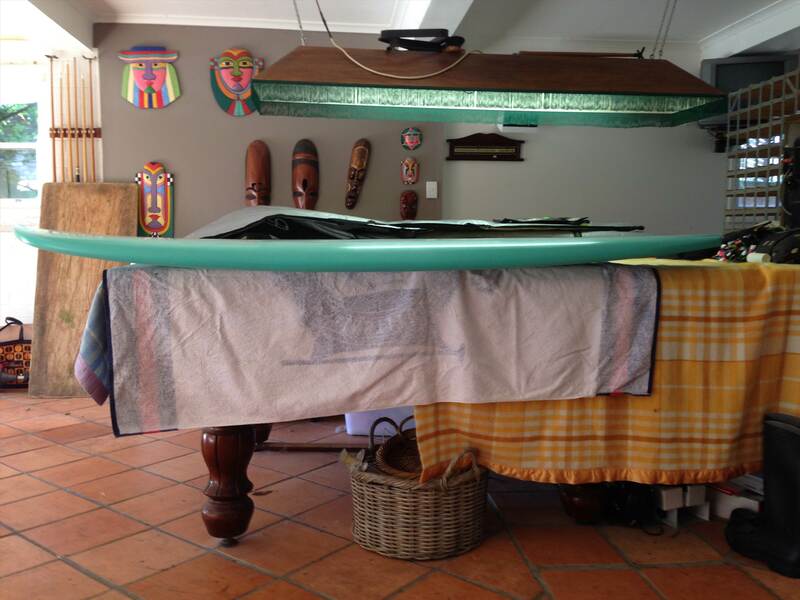 That was the first board I brought when I moved over here in 2000 - it was a magical board - gave it to a mate a few yrs later and always regretted parting with it - I even tried at one point to re-claim it - but he would have a bar of it !